Moose has been saved and he's now in a great foster home in the Colorado/Wyoming area, waiting for his forever peeps! Welcome to SDR you big love muffin! 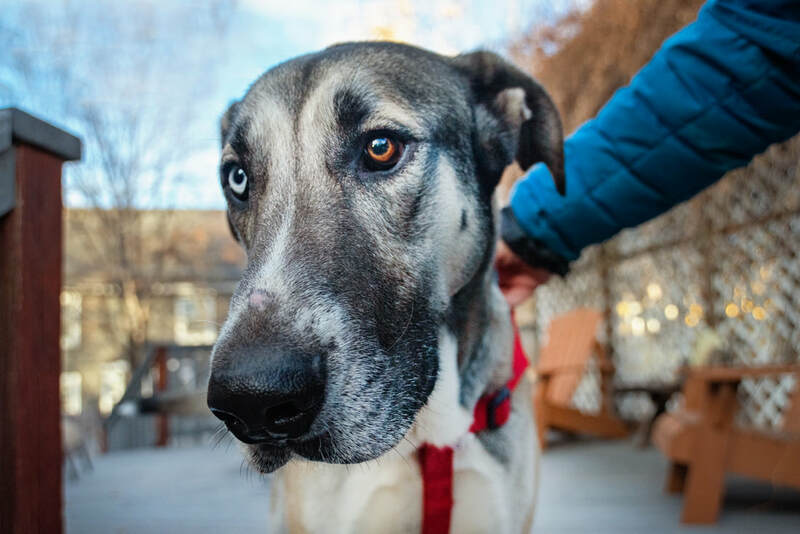 Moose is a Dane/Husky mix who loves people and other dogs. He's a gentle giant with a gentle mouth, and he's great at the treat toss --- not to mention his movie star handsomeness with those amazing eyes. Check out his video above to see him in action!